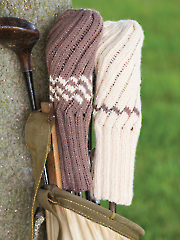 Every golfer wants to protect their clubs with covers. 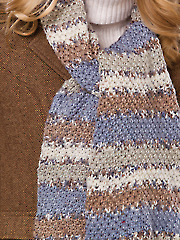 Maggie Pace goes classic with a knitted spiral rib cover. 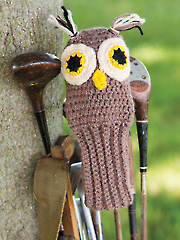 Robyn Chachula goes for cute with a crocheted cover made to look like an owl. 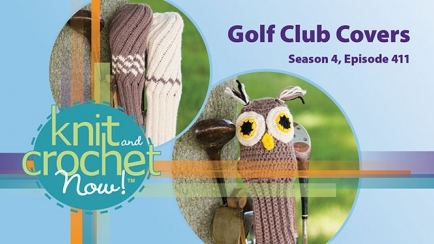 Brett Bara shows you a simple knit slip stitch pattern for a scarf suitable for men or women.